Showing posts in category "Events"
Saturday Sept. 11th, 2010 We are holding an open house, free to the public, for Summit Equine-Assisted Therapy. Please come, look around, get a snack and meet the horses. Learn how horses can facilate in the healing process. So, how does this type of therapy work? Equine assisted counseling utilizes horses to increase clients’ awareness of their own thoughts, words and actions. Through counseling, team building and equine activities, clients learn how to recognize dysfunctional patterns of behavior and to define healthy relationships. This is made possible in part by the horses’ innate ability to observe and respond to nonverbal cues. In the counseling process, the horses serve as living mirrors, reflecting clients’ emotional and behavioral states. Because horses are prey animals, they have honed their skills to pick up on and read body language. Horses are much more adept than humans at sensing when something is going on beneath the surface. If we have an ADHD client who comes out for a session and he’s bouncing all over, the horse will be leery of the client. 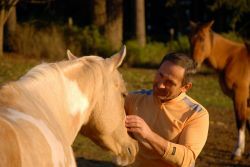 The client will learn that if he wants the horse to change, he will have to change his behavior, thoughts and feelings. The horse is that sensitive! The other powerful element within equine therapy is the noticeable shift in control and power within the client. For example, when working with young people who think they are in control, you often see the shift occur quicker, only because out here on the ranch, you are now dealing with a 1,500-pound animal and the client is no longer in control. This becomes obvious to the client through their own thought process. Times: 11:00-1:00 & 3:00 Please RSVP via email (rsvp@summitequineassistedtherapy.com) for which time you would like to tour the facility. New and exciting things are happening at the Ruff Ranch! Coming soon, Aug. 21st, an on-site demonstration will be held for health professionals. Licensed therapist, Sherry Simon-Heldt, MS, LISAC, CSAT, will be here from Tucson, AZ., to demonstrate how horses are used to facilitate or guide clients through experiential therapy and learning. Because horses mirror the actions and reactions of human response, this therapy provides immediate tangible results. We have joined efforts with Summit Equine Assisted Therapy (S.E.A.T.) 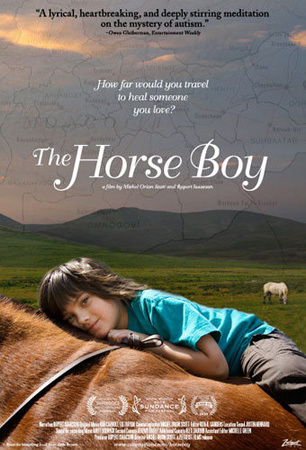 to create an environment in which healing can take place with the use of horses. Horses offer several advantages: they are clear on their boundaries, they have no hidden agendas, and much like us, they are social creatures with distinct personalities, attitudes and moods. Also, they experience a large variety of emotions. They are very intuitive and have a defined role within their herd. Because of these similarities, horses can demonstrate and teach self-awareness, honest communication, trust, healthy boundaries, leadership, assertiveness and affection, to name a few.